← Adventures of a Third Time Gardener! It’s time for another one of Julie Van Rosendaal’s FANTASTIC recipes! This one is a tasty spring salad, loaded with beautiful colours and flavours. I love Julie’s recipes! And I also love that I can add a local twist to them whenever I can. I made this recipe the day before I served it, to give the barley enough time to cool completely. 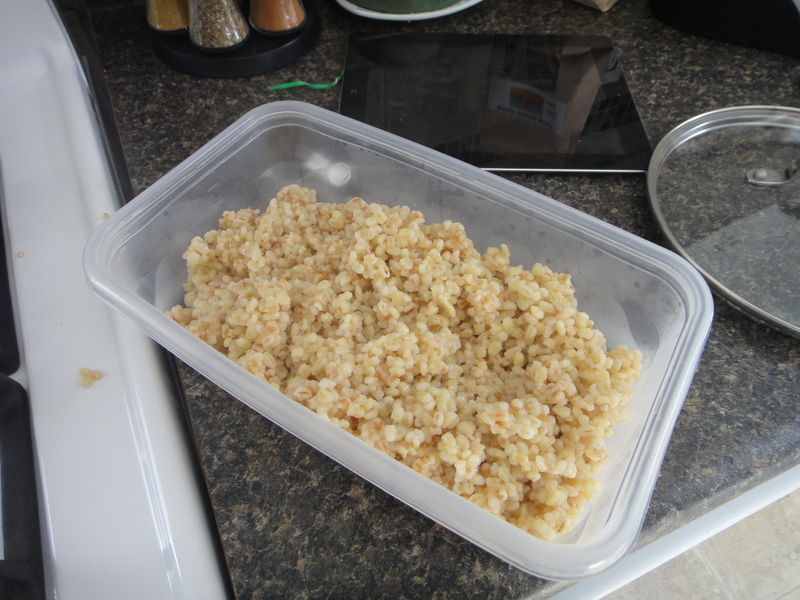 I cooked it by toasting the barley in the pan before cooking it up. It added a nice smoky flavour to the barley. 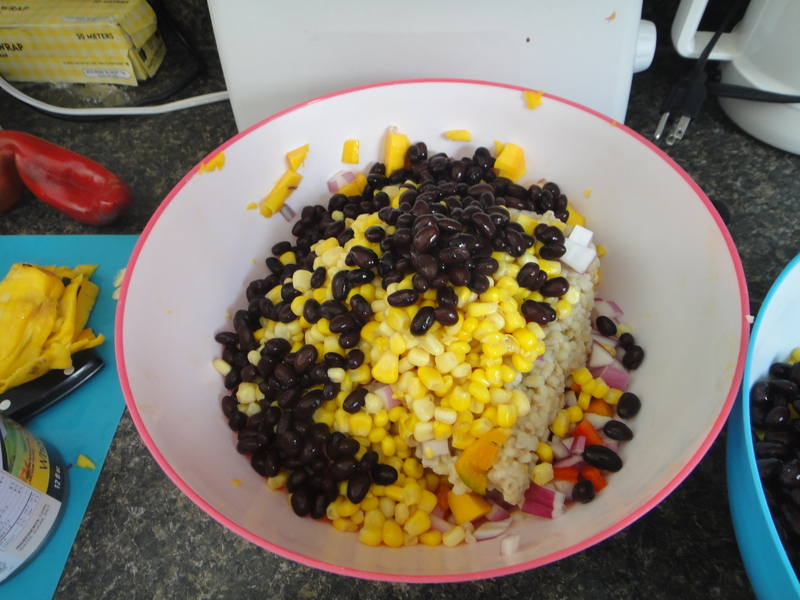 When the barley had cooled completely, I chopped up all my veggies, and the mango. 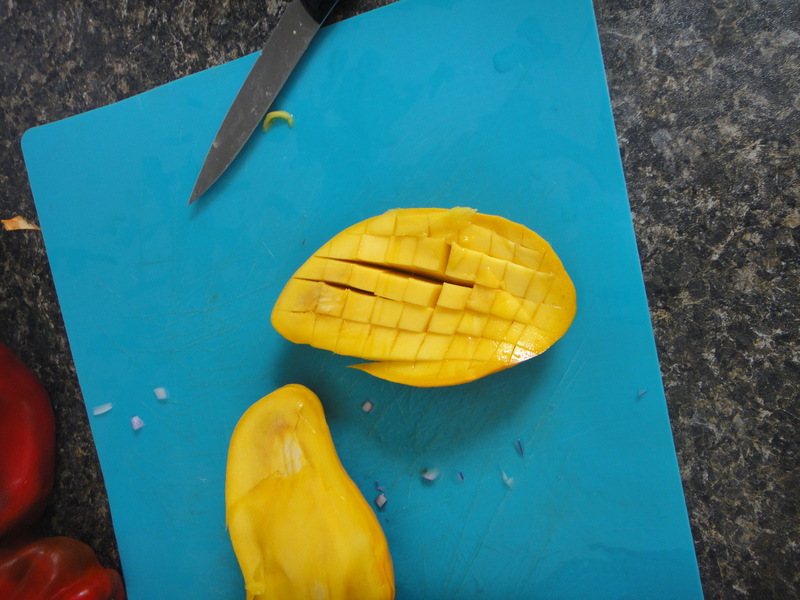 Here’s a neat trick to cut mangoes easily. 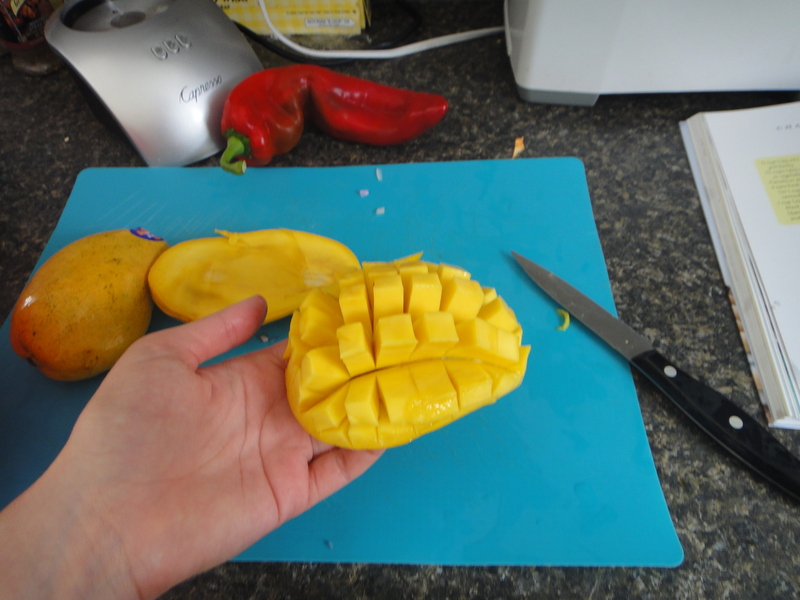 They’re so slimy, I use this as my mainstay for mango cutting now. First cut the mango in half, and then cut checkered lines in the flesh. Next, flip the skin inside out, and you’ll have easily accessible little pockets of fruit that you can just lob off. No slimy, slippery mess! 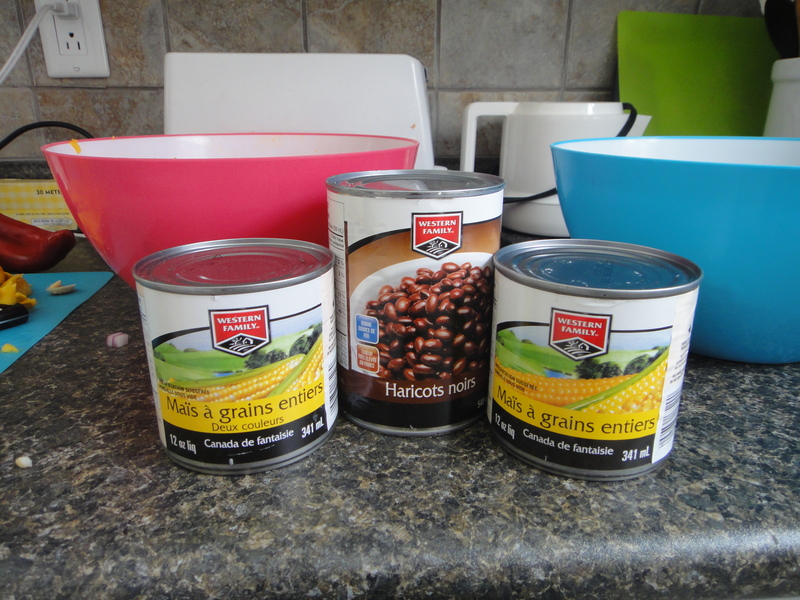 Here are all of the ingredients in the bowl. 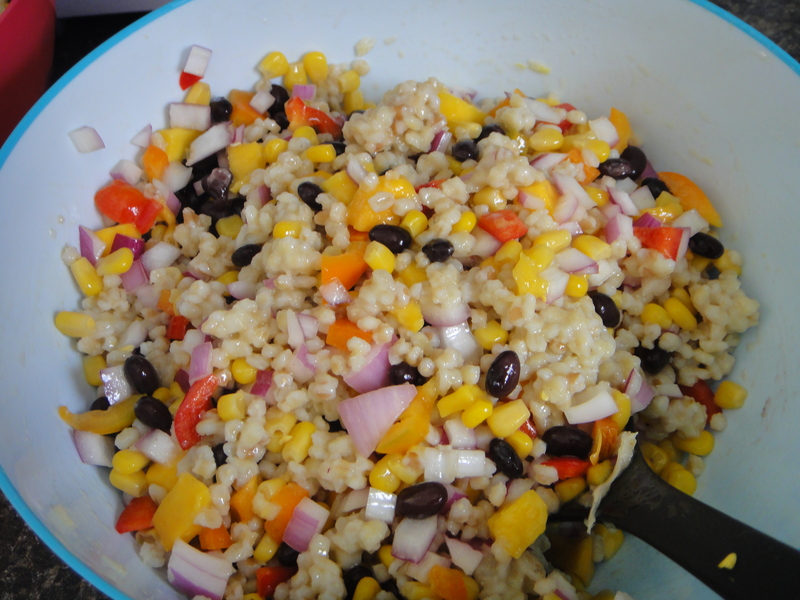 And here’s the salad all mixed up with the dressing. Voila! A beautiful addition to any summer BBQ! Begin by toasting you barley in a saucepan over medium-high heat for a few minutes, until the barley is golden and tasty-smelling. Pour in the water, and bring to a boil. Turn the heat down and let simmer for about 40 minutes, until tender. Let cool completely (I put it in the fridge overnight). 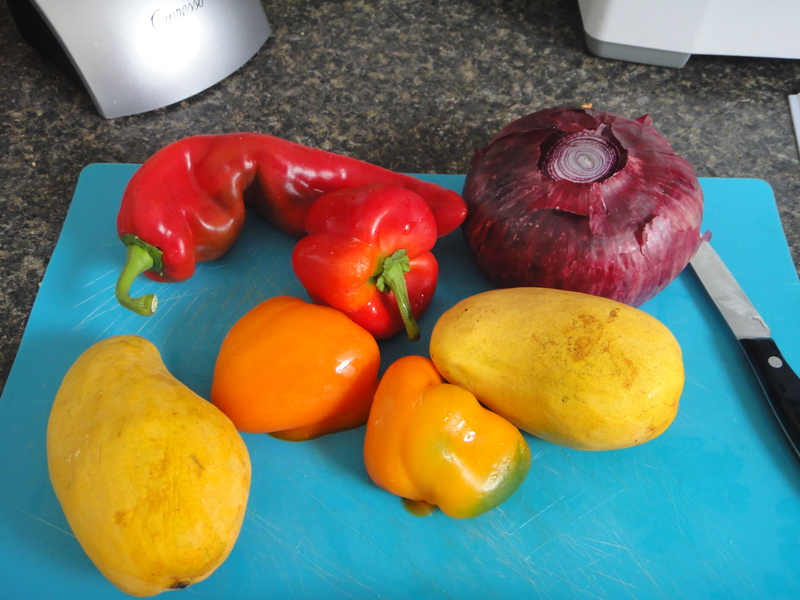 Next, chop all of your veggies and slice your mango. Throw everything into a big bowl. 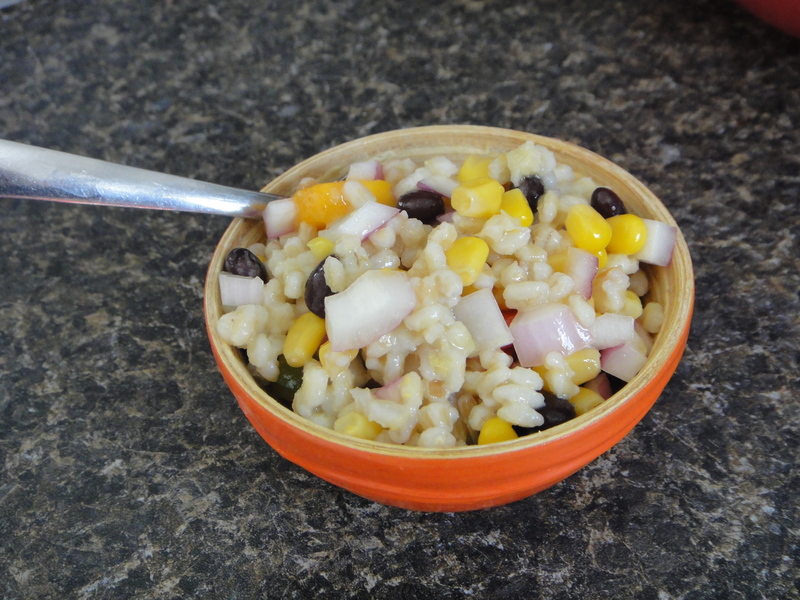 For the dressing, combine all ingredients in a tupperware container and shake. Pour over all ingredients and coat everything very well. Serve as a side, or for lunch! Enjoy, a lot!